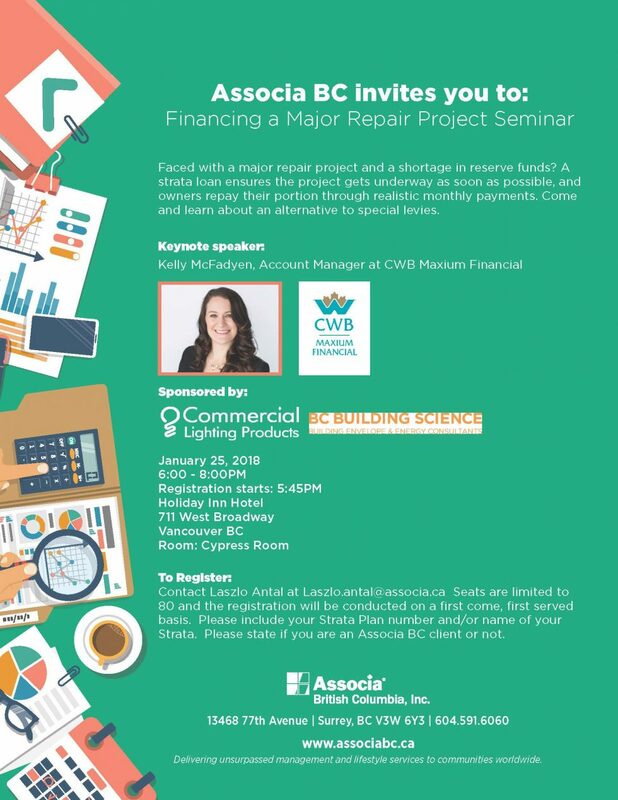 Come check out Associa BC’s upcoming seminar on financing a major repair project! Keynote speaker Kelly McFayden of CWB Maxium Financial will be touching on subjects including strata loans and alternatives to special levies. BC Building Science is proud to be one of the event sponsors. To register, contact Laszlo Antal at Laszlo.antal@associa.ca.